Wallace Unit is a medium security prison located in Colorado City Texas, part of Mitchell County. Situated on over 520 acres, Wallace Unit is co-located with the Ware Unit, and houses up to 1,384 adult male offenders in the main unit, and an additional 64 inmates in the work camp. Inmates at Wallace Unit can be G1, G2, or G4 security levels. Inmates at the Wallace Unit can work in a garment factory, in facility maintenance, in hay production, and in an agricultural farm shop. Additionally, offenders at Wallace Unit provide laundry services to the nearby Ware Unit. Inmates are provided vocational training in carpentry, horticulture and automotive repair. Educational programs at Wallace Unit include literacy courses, adult basic education classes, and the ability to earn a GED. Additional courses are provided in victim awareness, life skills, substance abuse, and a pre-release course called CHANGES that prepares an offender for an upcoming release. Inmates who are incarcerated at the Wallace Unit in Texas are allowed visitation on Saturdays and Sundays from 8am to 5pm. Normal visits are two hours in duration and an offender may have a single visit each weekend. If you arrive after 3pm you will not have a full two hour visit (visitation ends promptly at 5pm regardless of the time you arrive). 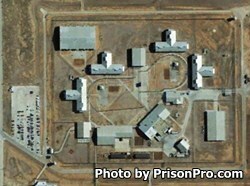 Visitors who must travel over 300 miles to visit their inmate may request a special visit by calling the facility. Special visits allow you 4 hours on a Saturday and 4 hours on Sunday to visit your inmate (special visits occur infrequently).